Many people believe that building a website is easy. You just need some images, a few videos and a bit of content. Nothing, in other words, that you can’t quickly do yourself on a rainy afternoon at home. Actually, this isn’t very true. 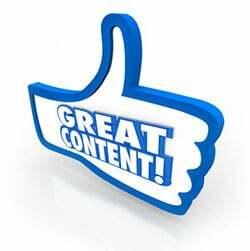 Content creation is actually very complex and goes well beyond being able to do “good” writing. It isn’t just about proper grammar and punctuation, but rather about being able to engage, to create calls for action, to be natural and interesting and in some cases you need to to follow SEO rules while writing as well. On top of that, the content should not come across as a sales pitch, unless that is what you intend. In order to achieve this, you need a skilled and professional copy writer. These writers have the necessary experience of writing for the internet and are up to date with the latest rules on SEO. It is their work that will help you create something that really stands out. Yes, it may be tempting to do it yourself, particularly since that is the cheaper option, but the reality is that sometimes you have to spend money to make money. Let’s take a look at some reasons why. Understanding SEO is highly complex. It requires writers to understand keywords, where they be placed and how often they should be used. It is about using headings and subheadings in appropriate places. If you get this wrong, your site will be nearly impossible to find in the search engines. Did you know that you have exactly three sentences to capture the attention of your reader? Research has proven time and again that unless you have something engaging in your first three lines, people will move away from your website. A trained copy writer is able to put the essence of what your content is about in those first three sentences, while at the same time making it exciting and engaging. Writing is a skill that goes beyond knowing a language. Writing in such a way that is engaging and interesting is a skill that not everybody has. After all, if we were all able to write, we would all be bestselling authors. Content writing is about setting a scene and capturing interest and imagination. Plus, this has to be done in a limited amount of words. The perspective has to be completely new and fully up to date as well. This requires work and a lot of time. Most writers would agree that content writing is a form of art. Anybody who is able to spell and understands the rules of grammar is able to write, but not everybody is able to write something that matters. In a great article written by Mike Pereira of myWriters.com titled “7 Secrets to Developing Magnetic Content” he explains just what it takes to create quality content by studying other top writers to see what works for them. Most people who get listened to online are fascinating. We keep paying attention to them because of what they do. The idea here is to be different. Offer something new that hasn’t been said before. Since you’re not allowed to simply copy and paste something that someone else has written (that would be plagiarism), and that really adds no value for anyone or the search engines. You really have to think about how to get all of this together. So if you’re not up to the task, one way to achieve this is by hiring a professional SEO and content writer so you can concentrate on the things that you excel at.